April 15, 2012 - The decision by the Federal Administrative Court in Leipzig to uphold a night-time flight ban at Frankfurt Airport will damage one of the world’s premier gateways for international trade and harm the local and national economy, says the Chairman of The International Air Cargo Association’s (TIACA) Industry Affairs Committee. Despite strong industry protests, the court’s decision means the ban on flights at Frankfurt between 2300hrs and 0500hrs will remain in force. The court also reduced the number of flights permitted one hour before and one hour after the night-time period. Frankfurt am Main Airport, or simply Frankfurt Airport, known in German is a major international airport located in Frankfurt, Germany, 7.5 miles southwest of the city center. Run by transport company Fraport, Frankfurt Airport is by far the busiest airport by passenger traffic in Germany, the third busiest in Europe (after London Heathrow Airport and Paris-Charles de Gaulle Airport) and the ninth busiest worldwide in 2011. 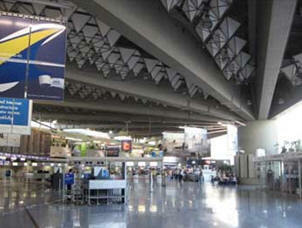 Passenger traffic at Frankfurt Airport in 2011 was 56.4 million. As of winter 2011/2012, Frankfurt Airport serves the most international destinations in the world, serving 275 destinations in 111 countries and is the second busiest airport in Europe by cargo traffic. The southern side of the airport ground was home to the Rhein-Main Air Base, which was a major air base for the United States from 1947 until 2005, when the air base was closed and the property was acquired by Fraport. TIACA has previously warned of the potential economic and environmental damage that would result from the night-time flight ban, a prime time for freighter movements that support fast deliveries of essential products throughout the day once they leave the airport. The Association said restricting freighter movements would reduce future investment by companies at Frankfurt airport and could lead to job losses. It also warned of a negative impact on the environment from greater trucking operations if all-cargo airlines were forced to use other airports. Consumers can also expect higher prices for everyday items due to high supply chain costs, TIACA said. Oliver Evans, Chair of TIACA’s Industry Affairs Committee, said: “We are extremely disappointed by the decision to uphold the night-time ban. Slots are a major battle ground for airlines at major airports across the globe and in recent years to satisfy the requirements of passengers, all-cargo operations have been pushed into the hours of the day, and usually the night, when passengers don’t want to fly. The air cargo industry has adapted to this and made it work. Today, night-time cargo flights are part of a seamless supply chain that means consumers and businesses can plan their stock levels and production schedules with confidence. This is now at risk. TIACA is a worldwide organization that serves a membership which includes all major segments of the air cargo and logistics industry; airlines, forwarders, airports, ground handlers, all-cargo carriers, general sales agents, road carriers, customs brokers, third party logistics companies, integrators, technology and equipment providers, shippers, and educational institutions.